TD will use an $8.8 million forgivable loan from New Brunswick taxpayers as it creates 440 new jobs over the next seven years at a new finance operations centre. 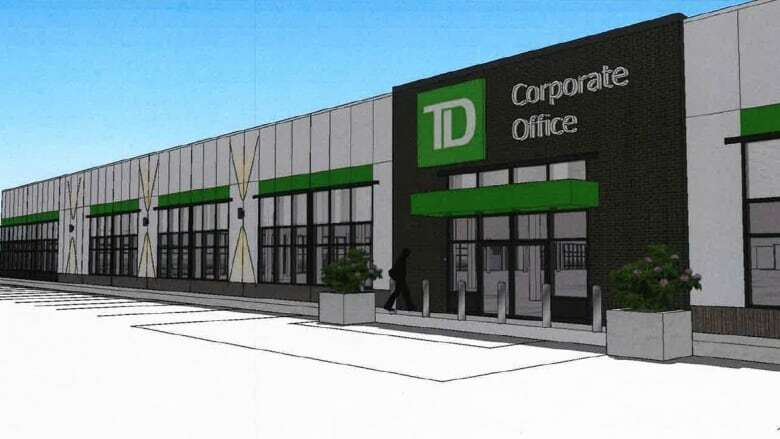 An $8.8 million forgivable loan from New Brunswick taxpayers will be used by TD to create 440 new jobs over the next seven years at a new finance operations centre in Dieppe. The money will be disbursed in various phases if the bank achieves set milestones, including targets for hiring, opening the centre and job numbers. The new finance operations centre will be in TD's new corporate office in the former Sears store in the Champlain Place mall. The office is expected to open by January 2019, the bank said in a news release. The space will be shared with a TD business services centre, announced in May 2017. That centre is supposed to create 575 customer service jobs over six years, which means more than 1,000 new TD jobs for the Moncton area, according to the bank. Provincial government assistance for the business services centre included a $6.8 million forgivable loan and $2.1 million for training. The centre that was announced Thursday will centralize some finance operational functions and provide services such as general accounting, reporting, and transaction processing. The recruitment for jobs in both centres will begin by September, and the postings will appear on the company's recruitment site. TD will have to pay back the loans if it doesn't meet targets, Opportunities New Brunswick said when the first forgivable loan was announced. In a news release, deputy TD chair Frank McKenna called the 440 jobs "highly skilled finance jobs." "We are looking forward to tapping into the region's professional workforce and post-secondary graduates, creating high-calibre and skilled employment opportunities," he said. In March, TD reported earnings of $2.35 billion in the quarter ending Jan. 31.